“I am seeking more free time for me throughout the day. Do not wait in any hallway to speak to me. I hate being ambushed. Please make an appointment. I promise you I will not entertain you in the hallway, and do not attempt to walk with me,” Harvey wrote in the memo, which was first published by Robert Feder’s Chicago media blog. The memo was allegedly sent to staff before the season five premiere of his talk show, according to Variety. 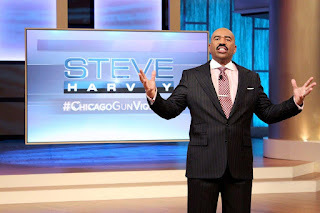 The final season of “Steve Harvey” debuted on Sept. 6. The Chicago-based show will end this month, but the show host already has a new series lined up for a September debut. His reps did not return requests for comment.